Hans Burkhardt obtained his Dipl.-Ing. degree in electrical engineering in 1969, Dr.-Ing. degree in 1974, and the Venia Legendi in 1979 from the University of Karlsruhe, Germany. From 1969 he was Research Assistant in the Department of Measurement and Control and in 1975 he became Lecturer at the University of Karlsruhe. During 1980-81 he had a scientific fellowship at the IBM Research Laboratory, San Jose, CA. In 1981 he became Professor for Control and Signal Theory at the University of Karlsruhe. During 1985-1996 he was full Professor at the Technical University of Hamburg and Director of an Institute in the Computer Science Department. He was additionally Scientific Advisor between 1990 and 1996 for the Microelectronic Application Center (MAZ) in Hamburg. Since 1997 he has been full Professor at the Computer Science Department of the University of Freiburg; Director of the Department of Pattern Recognition and Image Processing. From 2000-2006 he was President of the German Association for Pattern Recognition (DAGM). He is a member of the "Academy of Sciences and Humanities, Heidelberg", of “acatech” (German Academy of Technical Sciences) and a Fellow of the International Association for Pattern Recognition (IAPR). He was on sabbatical leaves for half a year as a Visiting Researcher in 2003/2004 at the National ICT (NICTA) at the Australian National University (ANU) in Canberra, Australia and in 2007/2008 at the National ICT (NICTA) at the University of Queensland (UQ) in Brisbane, Australia and at the University of Auckland, New Zealand. He is Principal Investigator and Executive Board member of the Cluster of Excellence on "biological signalling studies (bioss)" at the University of Freiburg. Publication list. He has published over 240 papers and given more than 300 lectures. He is a consultant for several national and international institutions e.g. the German Science Foundation (DFG), the European Commission and various international organizations and journals. 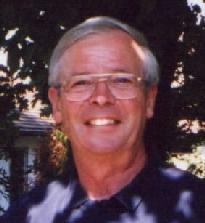 In 1998 he was Chair of the European Conference on Computer Vision (ECCV). Expertise: Invariants in pattern recognition, optimal image restoration methods, motion estimation algorithms, parallel algorithms in image processing and pattern recognition, image analysis and vision guided control of combustion processes.